Earth Day is right around the corner, and while HomeExchange makes travel easy and affordable, it is also a sustainable way to see the world! When you make eco-conscious choices, not just in your everyday life, but in how you travel, it goes a long way to protecting this planet we call home. Discover homes that take being eco-friendly to another level, where every day is Earth Day. 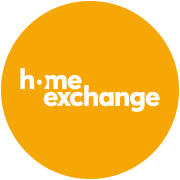 In a variety of countries, and across a vast span of diverse cultures, HomeExchange Members have explored new efforts to create sustainable homes. Step inside this spectacular home and you are sure to be inspired. What started as a “fun retirement project” became an eco-friendly quest to build a gorgeous home. The house features solar heating, an energy efficient boiler, and wood sourced from managed forests. Go off-the-grid and be one with nature in this Botswana paradise. Tucked into the Okavango Delta, the sights and sounds of the local wildlife provide a soundtrack to your adventure. With the help of your host, Sophie, you are sure to have an exchange experience you won’t soon forget. Not only is this home a wooden wonder, but it is also a passive home that features a phytodepuration water collector. It’s located near the forest and is the perfect spot for outdoor activities. This Ranch-style Argentinian home is ideal for sharing moments away from the stress of the city, where you can find the perfect combination between countryside and sea with streets lined with greenery, landscaping and wide beaches. The owners embrace the environment by using a system of solar energy to charge cell phones, emergency lights, and by having an (optional) parabolic solar cooker to harness the power of the sun for your culinary needs. Members Maura and Davide built their home with one objective: to reduce its environmental impact to a minimum. Using modern architecture, and ecological materials, it warms in the sun during the winter and cools in the summer using a geothermal system. Its wide windows give an unobstructed view of the green expanses of the valley below. Organize an exchange in Quebec in a home of wood and bricks. The massive walls of this chalet are isolated with straw boots covered with clay and lime. The goal: to be warm in winter and cool in summer. The craft materials that make up the place were chosen to minimize the ecological footprint: straw, clay and lime but also reclaimed wood, and bricks from a nearby factory. Welcome to Austria! Prairies, woods, and mountains on the horizon ... This architect's house, built in 2012, gives you the feeling of living in nature. Nicknamed the "wooden house" by its owners because of its particular design - floor consisting of wooden floor, wood wall and surrounding forest - this cocoon has been welcoming HomeExchange members since 2014. The garden, filled with fresh fruit, aromatic herbs and seasonal vegetables, offers natural products just waiting to be picked. Discover all the eco-friendly homes of HomeExchangers and find your next destination! Discover a member's home exchange experience to Argentina, to a region also known as "The Land's End".